Brenna K. Murphy, Grief Work (Shroud). Detail. Cotton yarn and artist’s hair, 100 ft x 40 in. 2017 Professional Development Fellow in Visual Art. The Professional Development Fellowships program supports promising artists, designers, craftspersons, historians, curators, and critics who are enrolled in MFA, PhD, and other terminal degree programs. Fellows are honored with $10,000 unrestricted grants to help them with various aspects of their work. One award will be presented to a practitioner—an artist, designer, and/or craftsperson—and one award will be presented to an art, architecture, and/or design historian, curator, or critic. Fellows also receive a free, one-year CAA membership and complimentary registration to the Annual Conference. Honorable mentions, given at the discretion of the jury, also earn a free one-year CAA membership and complimentary conference registration. CAA initiated its fellowship program in 1993 to help student artists and art historians bridge the gap between their graduate studies and professional careers. Past recipients include artists and thinkers such as Marin Sarve-Tarr (2015), Maggie Cao (2014), La Toya Ruby Frasier (2006), Risë Wilson (2002), Chitra Ganesh (2001), Miguel Luciano (2000), Miwon Kwon (1996), and Blake Stimson (1995), among many others. CAA seeks applications from students who are current members; will receive their MFA or PhD degree in the calendar year 2019, following the year of application (2018 for the current fellowship cycle); and have outstanding capabilities and demonstrate distinction in their contribution to art history and the visual arts. A jury of artists, curators, and other professionals will review all applications in fall 2018 and announce the recipients in January 2019. For more information about the CAA fellowship program, please contact Aakash Suchak, grants and special programs manager, at asuchak@collegeart.org. CAA has awarded two 2017 Professional Development Fellowships—one in art history and one in visual art—to graduate students in MFA and PhD programs across the United States. In addition, CAA has named one honorable mention in art history and one in visual art. The fellows and honorable mentions both receive a complimentary one-year CAA membership and free registration for the 2018 Annual Conference in Los Angeles. The recipient of the $10,000 fellowship in art history is Sooran Choi, a PhD candidate in Art History at CUNY Graduate Center. 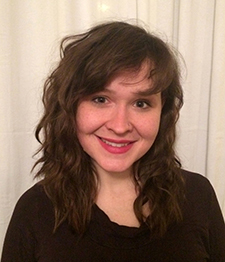 Accepting the $10,000 fellowship in visual art is Brenna K. Murphy, a MFA candidate in Studio Art at the University of Michigan Stamps School of Art & Design. 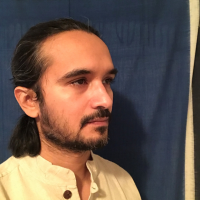 The honorable mention for art history goes to Murad Khan Mumtaz, a PhD candidate in the Department of Art and Architectural History at the University of Virginia. The recipient of an honorable mention in visual art is Courtney N. Ryan, a MFA candidate in Ceramics and Sculpture at Georgia Southern University. Suzanne Preston Blier, president of the CAA Board of Directors, will formally recognize the two fellows and two honorable mentions at the 106th Annual Conference during Convocation, taking place on Wednesday, February 21, 2018, at the Los Angeles Convention Center. CAA’s fellowship program supports promising artists and art historians who are enrolled in MFA and PhD programs nationwide. Awards are intended to help them with various aspects of their work, whether for job-search expenses or purchasing materials for the studio. CAA believes a grant of this kind, without contingencies, can best facilitate the transition between graduate studies and professional careers. 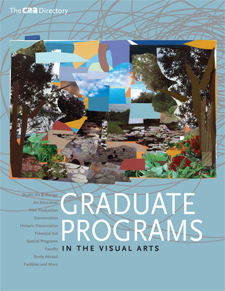 The program is open to all eligible graduate students in the visual arts and art history. Applications for the 2019 fellowship cycle will open in the late spring. Sooran Choi will complete her PhD in Art History at The Graduate Center, City University of New York, in summer 2018. Her dissertation The South Korean “Avant-Garde,” 1967-1992: Subterfuge as Radical Agency concerns the South Korean avant-garde under Cold War military dictatorships from 1967 to 1992, and focuses on the social and political tension between the military dictatorships and the opposition of political dissidents comprised mostly of artists, students, and intellectuals, who defined themselves as “avant-garde artists.” By examining various forms of performative and conceptual art along with the recontextualized rhetoric of the avant-garde in South Korea, Choi argues South Korean artists appropriated and repurposed various Euro-American post-WWII avant-garde practices such as Fluxus, Happenings, Conceptualism, and Environmental art to mask their social and political critique to evade censorship and torture by the military juntas. A re-purposed avant-garde as covert political agency, Choi contends, proved useful for the South Korean artists to further their own social and political ends, and requires a renewed and nuanced interpretation of non-Western art historical trajectories beyond the binary of center/periphery model, and expands the existing discourse on the avant-garde. Choi has received a Center for Place, Culture and Politics Dissertation Fellowship, and research grants from The Academy of Korean Studies, and the City University of New York. 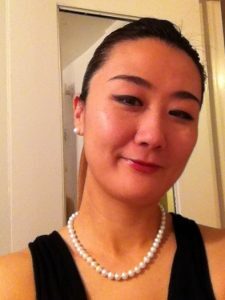 Choi’s scholarly interest in diverse art historical trajectories has carried over into her teaching as an Adjunct Lecturer at the City University of New York and the Fashion Institute of Technology (SUNY) where she teaches art history. Her past writing included topics such as East Asian artists in diaspora, alternative art spaces in South Korea, Gwangju Biennials, the Korean War Memorial in Battery Park (NYC), Japanese students at the Bauhaus, and the eroticism of Japanese Shunga art. 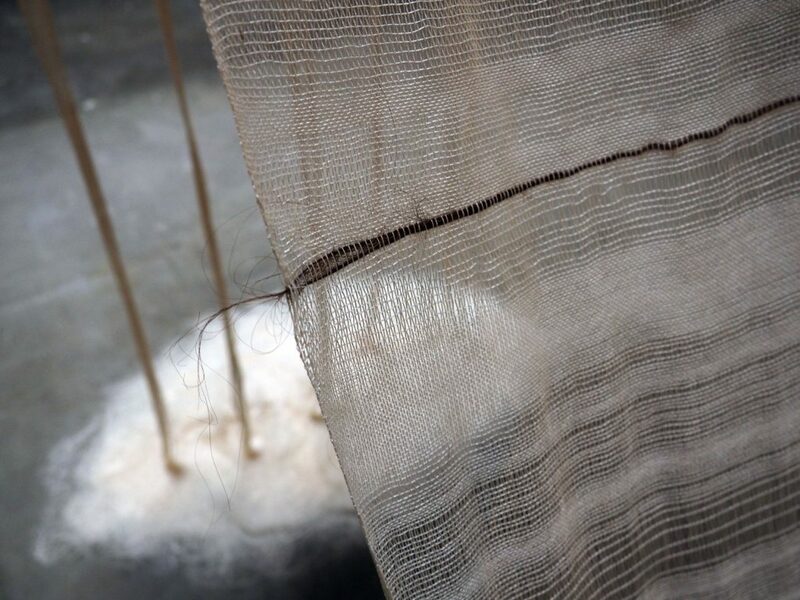 Brenna K. Murphy explores the experience of loss and its relationship to the body using fiber-based techniques such as weaving, embroidery, and lace-making. She holds a B.F.A. from the University of North Carolina – Chapel Hill where she graduated with Highest Honors and was the recipient of the Alexander Julian Prize, an award for the Department of Art’s “best students making work with a high standard of design,” and is currently pursuing an M.F.A. from the University of Michigan Stamps School of Art & Design. A working artist for many years, Brenna has exhibited widely throughout the U.S. and internationally in China, Nepal, and France in community art centers, commercial galleries, and corporate venues. Her work has also been featured in exhibitions at museums and universities such as the Hunter Museum of American Art in Tennessee, the Patan Museum in Kathmandu, the University of Pennsylvania, Moore College of Art & Design, and the Tyler School of Art at Temple University. She has taught courses, led workshops, and given lectures at venues such as the Kathmandu University Center for Art & Design, the Nepal Art Council, and the Tyler School of Art, and her work has been collected by the Henry-Copeland Permanent Art Collection at the University of North Carolina and the prestigious West Collection. 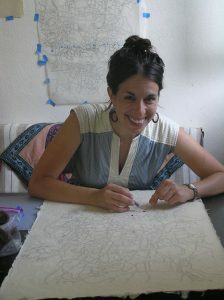 She is the recipient of many awards, including a competitive two-year fellowship from the Center for Emerging Visual Artists and the Fleisher Art Memorial Wind Challenge Award in Philadelphia, and has attended several artist residencies, such as the Santa Fe Arts Institute in New Mexico, the Kathmandu Contemporary Arts Centre in Nepal, and the CAMAC Centre d’Art and Cité Internationale des Arts in France. Receiving her Master of Fine Arts in Ceramics and Sculpture this May, Courtney Ryan is known for her intricate clay sculptures that appear to have emerged organically from their surroundings. She currently resides in Statesboro, Georgia, near Savannah, where she teaches Two-Dimensional and Three-Dimensional design courses as an Instructor of Record at Georgia Southern University. Upon graduation, Courtney intends to continue her studio practice while exhibiting work as she searches for her future career. As an aspiring professor of art, she wants to continue teaching and remain involved within the art world both professionally and academically. 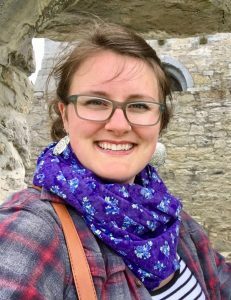 Over the course of her graduate career, Courtney has had the opportunity to travel abroad to experience the Venice Biennale, as well as spend two summers in Ireland on residency through the European Council. As an avid presenter, Courtney has participated in conferences such as SECAC, SLSA, and of course CAA. Last August, she had her first solo exhibition, Domestic Consumption, at Columbus State University, and has since shown her work at other universities including the University of Georgia, Georgia State University, and Augusta University. Featured in Sculpture Magazine as an Honorable Mention for the 2017 Outstanding Student Achievement Award, Courtney continues to push her work into new realms. Currently she is exhibiting in The Delaware Contemporary Museum’s 2017 MFA Biennale: Domestic, as well as an upcoming show-swap with Aalto University in Helsinki, Finland. Having just completed a 40-foot mural and a public arts sculpture, Courtney is also heavily involved in her local community. October 2 (PhD candidates) and November 10 (MFA candidates) are the deadlines for the CAA Professional-Development Fellowships. The program supports promising artists, designers, craftspeople, historians, curators, and critics who are enrolled in MFA, PhD, and other terminal-degree programs nationwide. Fellows are honored with $10,000 grants to support their work, whether it be for job-search expenses or purchasing materials for the studio. One award will be presented to a practitioner—an artist, designer, and/or craftsperson—and one award will be presented to an art, architecture, and/or design historian, curator, or critic. Fellows also receive a free one-year CAA membership and complimentary registration to the 2018 Annual Conference in Los Angeles, February 21-24. Honorable mentions, given at the discretion of the jury, also earn a free one-year CAA membership and complimentary conference registration. CAA has awarded two 2016 Professional-Development Fellowships—one in visual art and one in art history—to graduate students in MFA and PhD programs across the United States. In addition, CAA has named one honorable mention in art history and two in visual art. The fellows and honorable mentions also receive a complimentary one-year CAA membership and free registration for the 2017 Annual Conference in New York. 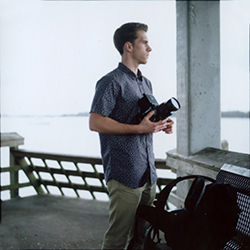 Accepting the $10,000 fellowship in visual art is Daniel Seth Krauss, an MFA student in photography in the Tyler School of Art at Temple University in Philadelphia, Pennsylvania. 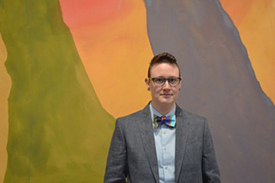 The recipient of the $10,000 fellowship in art history is Sara Blaylock, a doctoral candidate in visual studies at the University of California, Santa Cruz. The honorable mention for art history goes to Lex Lancaster, a PhD student at the University of Wisconsin, Madison. The two honorable mentions in visual art are Allison Rose Craver, an MFA candidate at Ohio State University in Columbus, and Andrew Jilka, an MFA student at the School of Visual Arts in New York. Suzanne Preston Blier, president of the CAA Board of Directors, will formally recognize the two fellows and three honorable mentions at the 105th Annual Conference during Convocation, taking place on Wednesday, February 15, 2017, at the New York Hilton Midtown. CAA’s fellowship program supports promising artists and art historians who are enrolled in MFA and PhD programs nationwide. Awards are intended to help them with various aspects of their work, whether for job-search expenses or purchasing materials for the studio. CAA believes a grant of this kind, without contingencies, can best facilitate the transition between graduate studies and professional careers. The program is open to all eligible graduate students in the visual arts and art history. Applications for the 2017 fellowship cycle will open in the late spring. 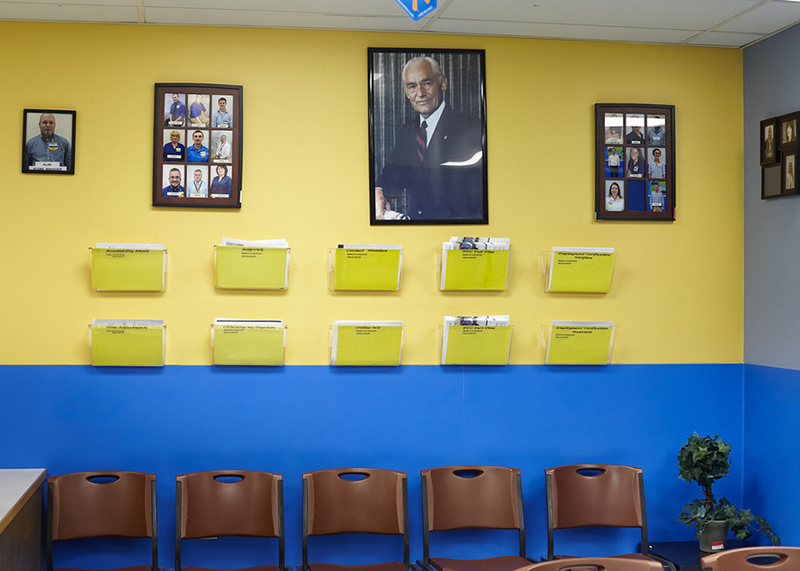 Daniel Seth Kraus‘s work blends historical research with photographic practice to deepen our understanding of people and places. Currently his research investigates faith and work in the American South. Kraus’s work has been featured in numerous print and online publications, including Fraction Magazine, SeeSaw Magazine, Oxford American, and Aint Bad Magazine. His photographs have been exhibited in national and international juried exhibitions, including one at the Morris Museum of Art in Augusta, Georgia. He earned a BFA in photography and a BA in history from the University of North Florida in Jacksonville and is pursuing a MFA in photography at the Tyler School of Art at Temple University in Philadelphia, Pennsylvania. Sara Blaylock will complete her PhD in visual studies at the University of California, Santa Cruz, in spring 2017. To date, the bulk of her research has concerned the experimental film, art, and visual culture of the German Democratic Republic during the 1980s. Her dissertation, “Magnitudes of Dissent: Art from the East German Margins,” focuses on how photography and film, body-based practices, print media, and galleries addressed issues of representation, performativity, and collectivity. It argues that experimental practice in a 1980s GDR was not only an antidote for but also an interpretation of a weakening state—a foil and a mirror to official culture. Blaylock’s dissertation research has been supported by the German Academic Exchange Service and the Rosa Luxemburg Foundation, as well as by numerous grants from the University of California, Santa Cruz. She has published in numerous academic forums. Most recently, an article appeared in Gradhiva, a French-language journal of art history and anthropology, and Blaylock contributed an essay in both German and English to the catalogue for the exhibition Gegenstimmen. Kunst in der DDR 1976–1989 [Voices of Dissent: Art in the GDR 1976–1989], held at the Martin-Gropius-Bau in Berlin. Another article, “Bringing the War Home to the United States and East Germany: In the Year of the Pig and Pilots in Pajamas,” will appear in Cinema Journal later this year. Blaylock was recently invited to codirect the International Association for Visual Culture, a scholarly organization that encourages inquiry and debate within the field and that advocates the critical and theoretical expansion of visual-culture studies in academic and artistic venues. She looks forward to helping to advance and strengthen the association’s vision. Allison Rose Craver will complete her MFA, with a concentration in ceramics, at Ohio State University in in Columbus in May 2017. Craver grew up in East Aurora, New York, and earned a BFA in 2010 from New York State College of Ceramics at Alfred University in Alfred. A year later she studied as a special student at the University of Wisconsin, Madison. Craver has shown her work nationally, including exhibitions at the Archie Bray Foundation for the Ceramic Arts in Helena, Montana, and the Arrowmont School of Arts and Crafts in Gatlinburg, Tennessee. In 2014 she was invited to demonstrate in the Process Room at the annual National Council on Education for the Ceramic Arts conference in Milwaukee. Craver’s work is process driven, using ceramics materials in conjunction with fiber and found objects to explore the nature of care and work. Andrew Jilka was born in in 1986 to a working-class home in Salina, Kansas. The son of a bus driver and a lunch lady, Jilka has been employed as a fast-food worker, a cigarette warehouse stocker, a furniture deliveryman, a Hewlett-Packard call-center representative, a bartender, and later an assistant to the artist Tom Sachs. 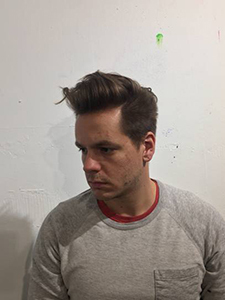 After selling his Camaro, he enrolled at the University of Kansas in Lawrence, where he received a BFA in printmaking in 2009, as well as a scholarship to study printmaking at Hongik University in Seoul, Korea. Jilka’s work is greatly influenced by the instabilities and anxieties of his Midwestern upbringing. His painting is an attempt to reconcile the “high” of the history and lineage of contemporary painting with the Walmart culture he was raised in. Jilka approaches painting with both the deference of Brahms and the irreverence of the Ramones—and perhaps a touch of Taylor Swift. His work has been shown in group and solo exhibitions in Kansas City, Atlanta, New York, and Seoul. He is currently an MFA candidate at the School of Visual Arts in New York. 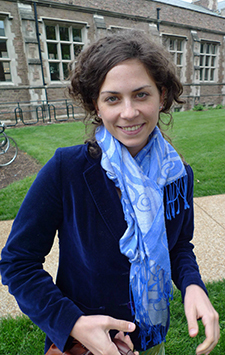 Lex Morgan Lancaster is a PhD candidate in the Department of Art History at the University of Wisconsin, Madison, where they will complete their degree in May 2017. Lancaster’s dissertation, “Dragging Away: Queer Abstraction in Contemporary Art,” investigates abstraction as a tactic of queering in the work of contemporary artists who deploy nonrepresentational form for political ends. Their related article, “Feeling the Grid: Lorna Simpson’s Concrete Abstraction,” was published in ASAP/Journal (2017), and “The Wipe: Sadie Benning’s Queer Abstraction” is forthcoming in Discourse: Journal for Theoretical Studies in Media and Culture. Lancaster is chairing the session on “New Materialisms in Contemporary Art” at CAA’s 2017 Annual Conference in New York. Lancaster received their BA in art history from Case Western Reserve University in Cleveland, Ohio. They have assisted with exhibitions and public programs at the Cleveland Museum of Art as coordinator of teen programs and intern to the curator of contemporary art, and at the National Gallery of Art in Washington, DC, as a paid summer intern in the Department of Photographs. At the University of Wisconsin, Madison, Lancaster curated the exhibition Our House! Unsettling the Domestic, Queering the Spaces of Home at the Chazen Museum of Art. Students are crucial to CAA and the work we do. Support and interest from student members allows us to provide fellowships, professional development, mentorships, and job placement services to those very same students. In the coming months, CAA is visiting several local New York colleges and universities in order to connect with our youngest and one of our most vital constituencies. Below is our upcoming schedule. We hope to see you there. Patricia Rubin is Judy and Michael Steinhardt Director of the Institute of Fine Arts at New York University. In 2010, thanks to a grant from the Andrew W. Mellon Foundation, the Institute of Fine Art at New York University inaugurated the Mellon Research Initiative. The initiative’s aim was to investigate trends in graduate education and advanced research in art history, archaeology, and conservation. That investigation took place at a time when those fields faced considerable challenges—financial, institutional, and conceptual. Cutbacks in funding from all sources and the concomitant or resulting instrumentalization of university education, which favors economic rationales for degree structures, department sizes, and disciplinary evaluation, presented explicit challenges to the humanistic as opposed to the “hard” sciences. They continue to do so. The resulting publication, Pathways to the Future: Trends in Graduate Education, was introduced and discussed during three panels at CAA’s Annual Conference in February under the rubric of “Field/Work: Object and Site.” The Pathways report is the result of four years of consultation, undertaken through a series of workshops, conferences, and committees in which our fieldworkers—graduate students, professors, publishers, and university administrators, among others—were asked about the directions being taken in art history, archaeology, and conservation. These participants considered the resources those fields require to support graduate training and research; how those resources are most meaningfully allocated; and, crucially, how learning is best delivered in curriculum and training programs. The public workshops and conferences (now available on the institute’s video archive) were accompanied by the work of three committees convened to pose relevant questions and investigate different aspects of our practices as researchers and educators. Unified in aim, the review committees largely operated independently. They shaped their work according to concerns and protocols specific to each field. The form of their reporting varies accordingly. All three committees considered both present conditions and future possibilities. The examination of the state of our subjects found them to be generally robust. If anything they are stronger than ever before, existing as they do in today’s image-based environment and able to promote critical seeing along with critical thinking. They are inherently interdisciplinary and equally international or global in their inquiry and potential impact. They have direct relation to material understanding, in the recovery and safeguarding of our physical heritage, in interpreting its present condition, and in forecasting future manifestations. Although based on wide consultation and meticulous deliberation, this report is intended to contribute to vital and ongoing conversations about the disciplines of art history, archaeology, and conservation, about their professional and intellectual situation, and about strengths, weaknesses, and strategies. Their thoughts on those matters are contained in this document, which is available on the institute’s website for downloading and circulating. The institute hopes this document generates discussion and stimulates further thoughts on the topics it raises and regarding training and research in art history, archaeology, and conservation. 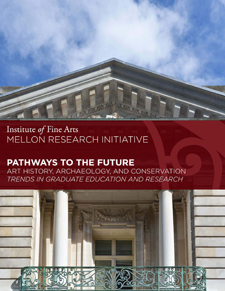 The institute is profoundly grateful to the Mellon Foundation for its generous sponsorship, and to all those who participated in the initiative. DeWitt Godfrey, professor of art and art history at Colgate University in Hamilton, New York, is president of the CAA Board of Directors. CAA is moving ahead on several strategic goals. After a year of investigation and discussion with over 200 artists, art historians, curators, editors and reproduction rights officers, Professors Patricia Aufderheide and Peter Jaszi are drafting the new Code of Best Practices in Fair Use in the Visual Arts which will be reviewed by the Task Force on Fair Use, the Committee on Intellectual Property, the Professional Practices Committee, and an independent Legal Advisory Committee. We anticipate that the code will be presented at the Annual Conference in February 2015. At the October 26th Board meeting, the formation of two task forces was approved: one to review CAA’s governance structure, and one to review its professional committees. As a greater number of faculty are now part-time, the board and committee requirements have to be adjusted so that the best expertise is brought to CAA within the most economical timeframes. The Board also had a lively discussion on the best directions to be taken regarding advocacy and how CAA can respond quickly and efficiently to issues that affect members’ daily work. We are exploring the creation of a task force on advocacy. The CAA Board and senior staff held a day-long retreat which focused on a vision for the future of the annual conference—a more flexible structure, greater opportunities for interdisciplinary discussion, serving the needs and interests at each stage of a career in the visual arts, and the ability to quickly address issues that arise in the field, have an international perspective and participation, and reach those members who are not able to attend the conferences. New, updated volumes of the Directories of Graduate Programs are now available through CAA’s website. From the data published in the directories, CAA will draw statistical information about all the visual-arts subdisciplines, mapping important changes in the field regarding enrollment and employment. We plan to make information from the past four years available to members in the coming months. The September issue of The Art Bulletin features the third essay in the “Whither Art History?” series, as well as essays on Jan van Eyck and commemorative art, Hans Burgkmair and recognition, Watteau and reverie, and contemporary Indian Art from the 1985-86 Festival of India. The latest issue of Art Journal includes a forum called “Red Conceptualismos del Sur/Southern Conceptualisms Network,” featuring articles printed in their original Spanish and Portuguese alongside new English translations—this is the first foray into multilingual publishing for CAA. Art Journal Open’s first web editor, Gloria Sutton, associate professor at Northeastern University, has commissioned features from the artist Karen Schiff and the new-media historian Mike Maizels, as well as a dialogue between the curator Becky Huff Hunter and the artist Tamarin Norwood. The vision for this website is to provide an online space for artists’ works, experimental scholarship, and conversations among arts practitioners. And caa.reviews, now open access, includes nearly 2,500 reviews of books, exhibition catalogues, and conferences on art, as well as an annual list of completed and in-progress art history dissertations. Thirty-four field editors commission reviewers to address new publications, exhibitions, and exhibition catalogues and videos in every area of the visual arts. The new copublishing relationship between CAA and Taylor & Francis that supports all three CAA journals will complete its first year this month with a marked increase in readership. We are encouraging authors to use the multimedia resources offered at Taylor & Francis Online as well as its citation app. The Andrew W. Mellon Foundation has awarded CAA and the Society for Architectural Historians a grant to cooperatively carry out research and develop guidelines in digital art and architectural history for promotion and tenure in the workforce. With the increased use of digital platforms in research and publishing there is a need for guidelines that reflect the best practice in evaluating digital art and architectural history. A task force will be formed of two art historians, two architectural historians, a librarian, a museum curator, a scholar from another humanities or social science field with expertise in digital scholarship, and a graduate student or emerging professional in art history or architectural history. CAA will hire a part-time researcher to gather information on current practices from faculty members throughout the country. Please see the Online Career Center for the listing. CAA, like other learned, membership societies, faces significant challenges and opportunities for the future. The changing landscape of publication, academic workforce issues, advocating for the arts and humanities, serving a changing membership and the field are areas where CAA has and will continue to make a difference, by building on our legacy of leadership and embracing the necessary changes required to meet our mission and vision.